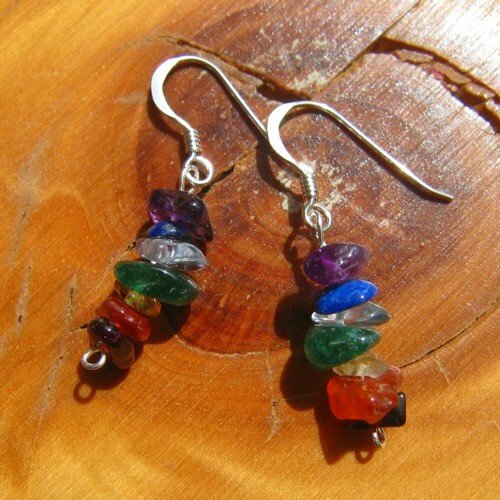 Chakra earrings crystal jewellery hooks. 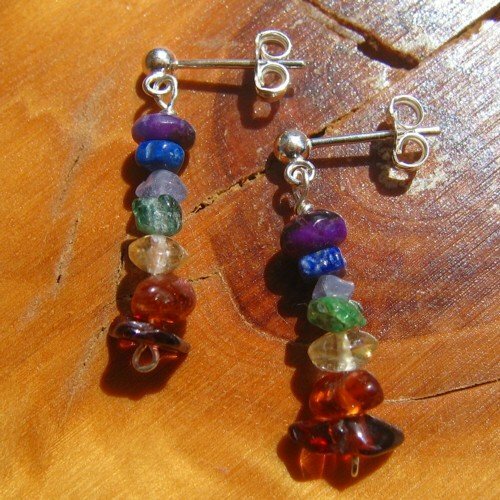 I make these chakra earrings with a rich mix of more unusual tumble stone crystals and semi-precious stones. You will find charoite, lapis lazuli, tanzanite, emerald, citrine, orange garnet and red garnet. First of all I thread each crystal on to silver wire in order of the chakras. Therefore, each crystal corresponds with each of the seven main chakras. Finally I set the crystals on to silver ear hooks. Each crystal is natural and will, for that reason, vary in shape, size and colour. 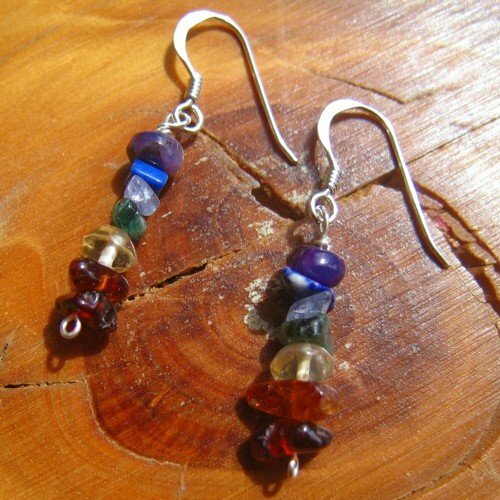 As a result, your chakra earrings are unique to you. The length of your “chakra earrings crystal jewellery hooks” is approximately 4cm/1.5 inches.